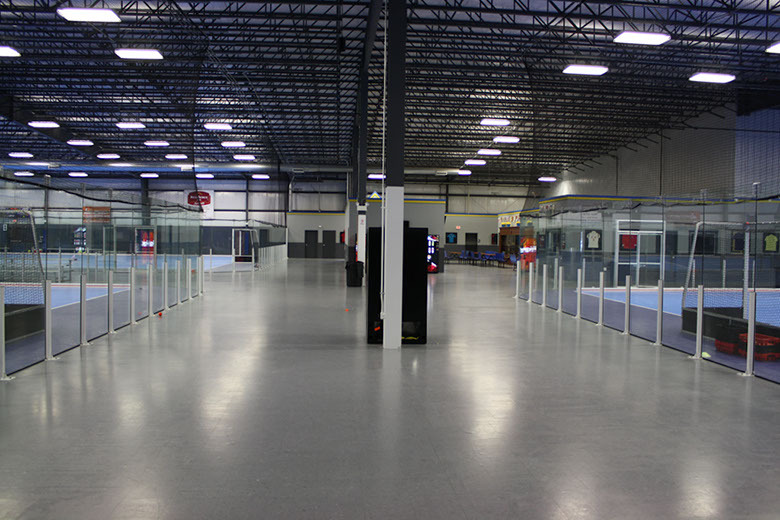 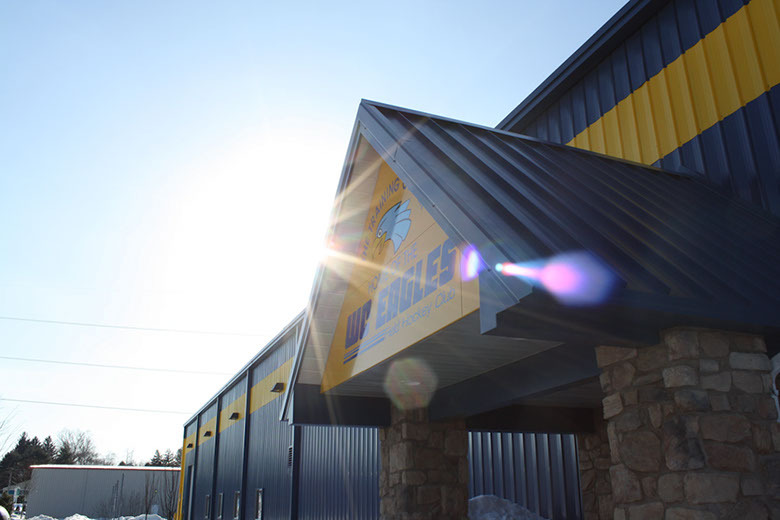 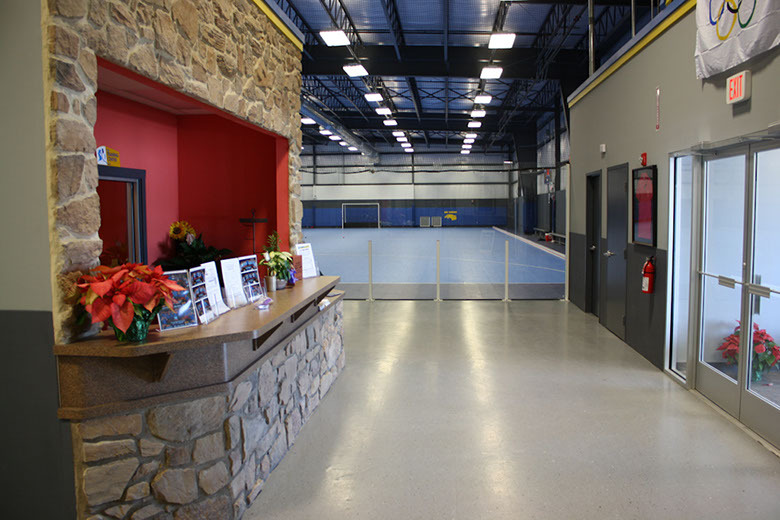 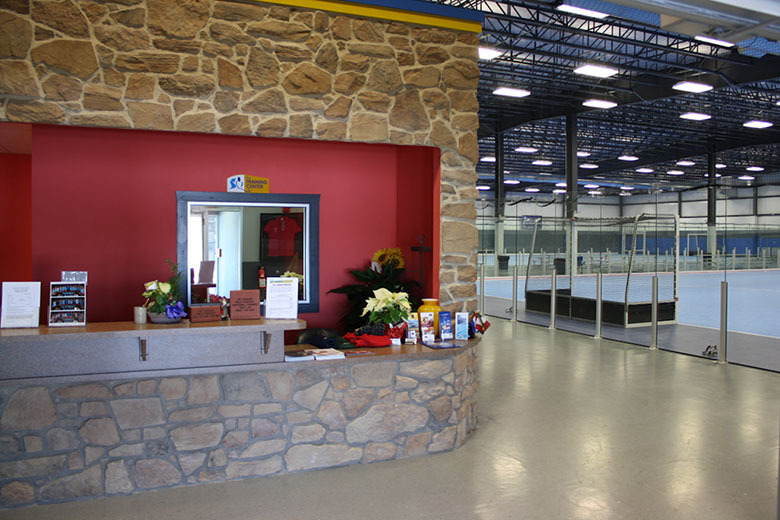 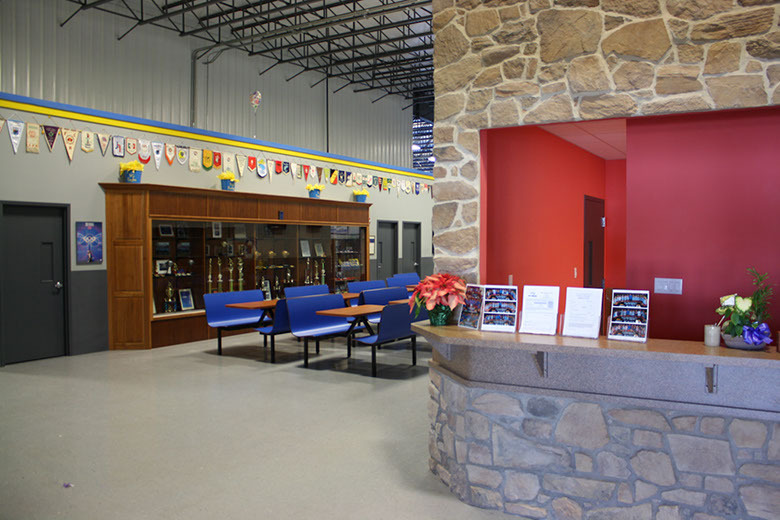 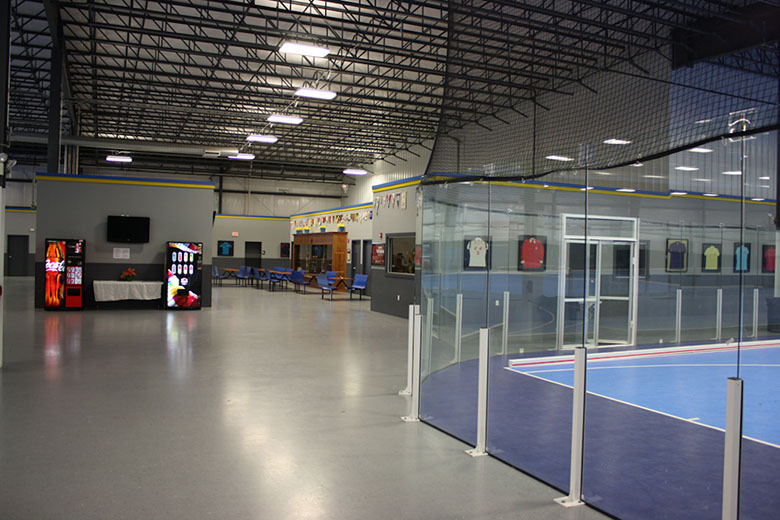 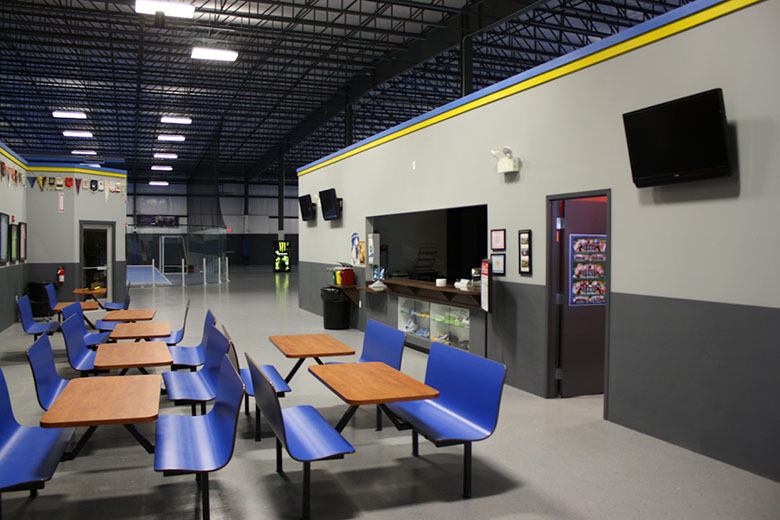 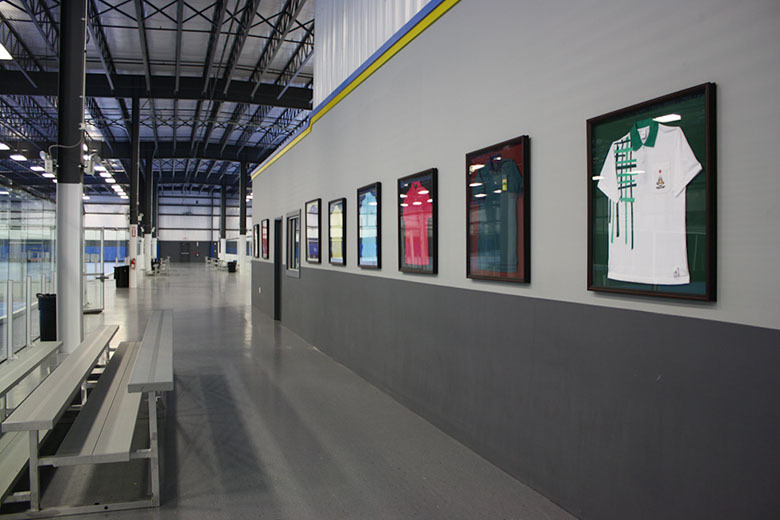 This premier field hockey center features an indoor facility with three international size indoor courts, a fitness center, meeting and coaching rooms, and a full service snack bar. 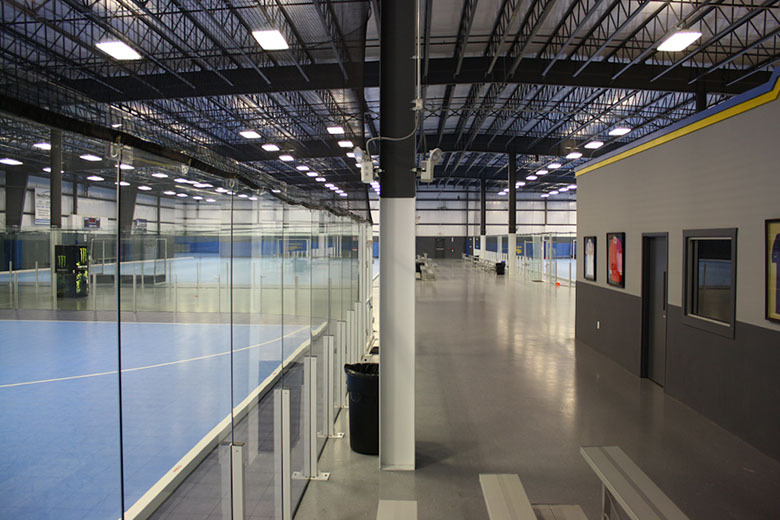 Each indoor court boasts the same playing surface as used for the National Indoor Tournament and is surrounded by state of the art, spectator friendly, glass walls which allow for clear, safe, and unimpeded viewing. 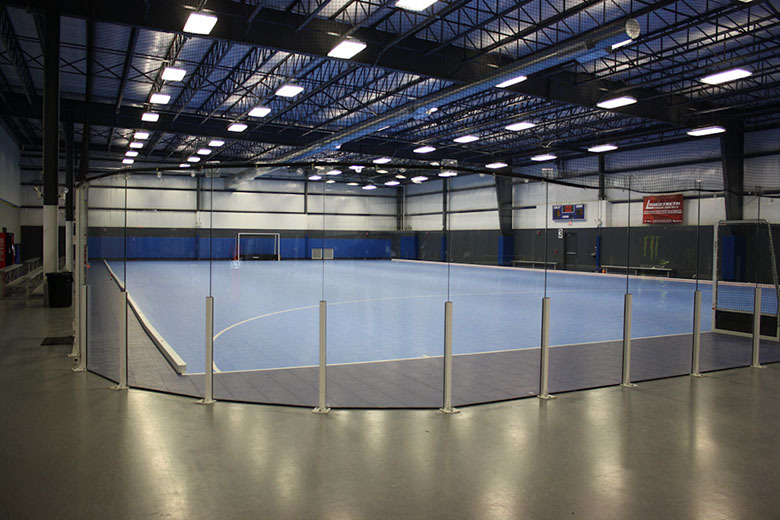 The 10mm side boards, with beveled inside edge and non-slip base, have been imported from Germany to give players the best rebound surface available. 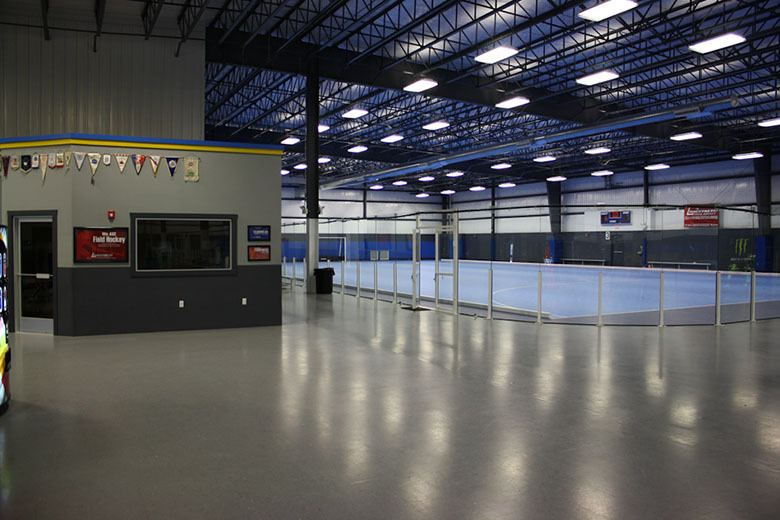 Outdoors we are proud to feature the FIH approved Tiger “WETT” Field Hockey Turf as used by top National League clubs in the UK, Europe, and New Zealand. 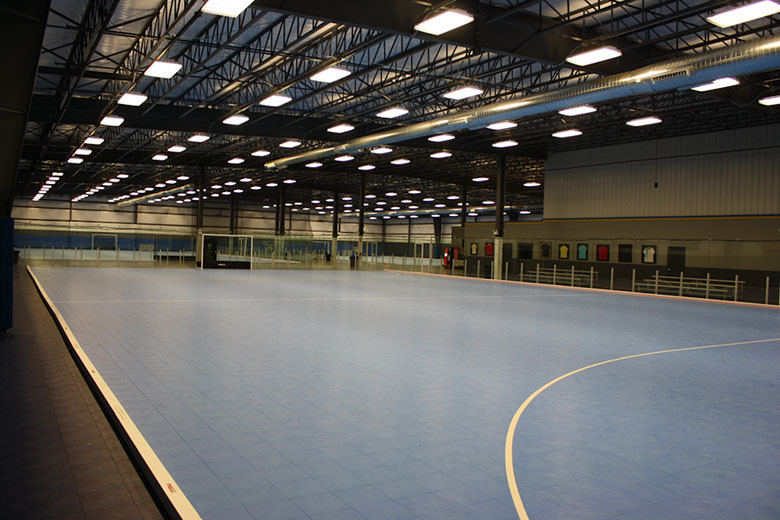 A full sized soccer/lacrosse field is also available for rent by local soccer and lacrosse clubs, and The Training Center has partnered with Kwik Goal to equip the center with goals, team benches, bleachers, and field equipment.